Take 15 minutes, and save your job, your department, and possibly, your company. You won’t need your smartphone, laptop, phablet, email, Facebook, Twitter, Snapchat, Periscope, text messaging, or IBM’s Watson for this. Just your head, a pen, a piece of paper, and 15 minutes. Now, think of the key roles in your team, department, and/or company. Write them down in a column on the left hand side of your piece of paper. To the right of each key role, write the name of the person who currently occupies that role. For each person in a key role, write his/her name in the appropriate quadrant. 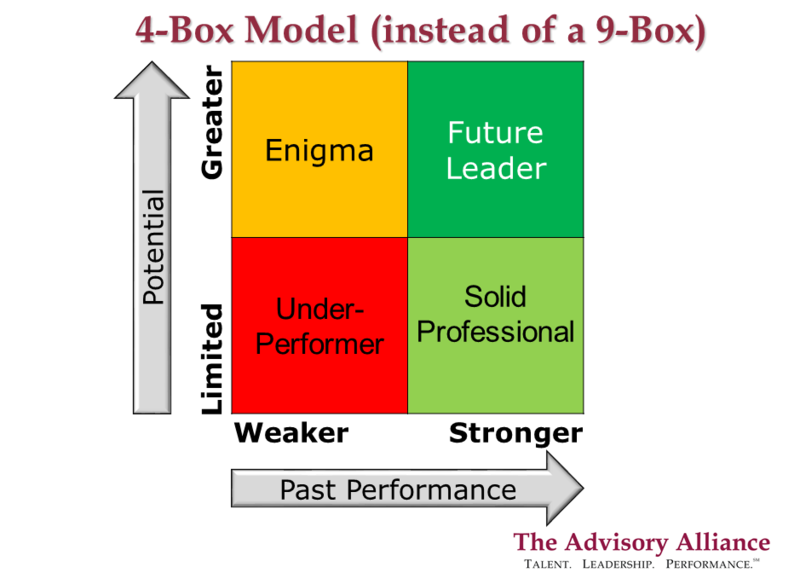 Are all the people in key roles at least on the right hand side of the 4-Box Model? If not, why not? What will you do to correct that? 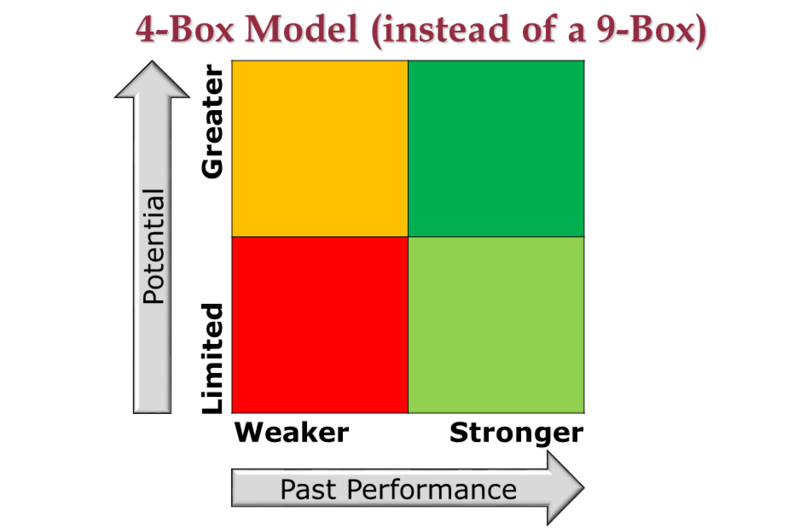 Here are some ideas for all four quadrants, with one major footnote: I’m assuming you have already earnestly attempted to remove obstacles and have provided development and coaching for the people in key roles. Again, given the major footnote, it’s likely time for a courageous conversation about exploring opportunities where there’s a better fit with their skills and capabilities. Again, given the major footnote, it’s probably time to stop waiting for Godot. Stop coaxing and hoping for small miracles. Note that performance standards need to be met, and rest accountability for that with the individual. Spend time with them. Ensure the current role continues to be engaging, or at minimum, satisfying. Be on the alert for boredom in the role. Seek ways to enrich and supplement the role. Be vigilant if the role needs to be expanded. Spend time with these high potentials. If you don’t, your competitors would love to and will likely take advantage of that. Provide opportunities for significant growth and skill development. Broaden their capabilities. Expose them to diverse aspects of your organization outside their current role, including exposure to senior leadership (if not already a part of their role). Develop their influencing skills and executive presence. Provide coaching before (i.e. in anticipation of) their next promotion. So the next time you’re in the car, on a train, a plane, or in the tub or shower, take 15 minutes (okay, it’ll be a long shower), and think about what to do with one of your most important resources, your people in key roles.